Original equipment radiators are designed to cool stock applications so why risk overheating a hot rod or muscle car? Be Cool builds radiators in the same down or cross flow configuration as OE to avoid installation issues yet incorporates upgrades to increase cooling capacity. Downflow radiator tanks are on the top and bottom of the core; crossflow radiator tanks are on the sides. Both cool equally as long as the core surface is the same in square inches. Plus, epoxy-free assembly improves heat dissipation. Be Cool guarantees coolant temperature will drop at least 20° or your money back! 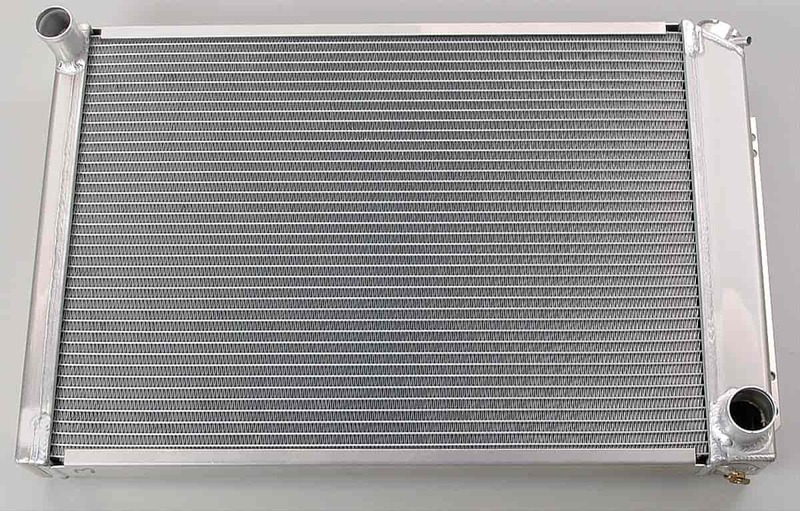 Does Be Cool Radiators 60168 fit your vehicle? JEGS 51156 - Inline Hose Drain 1.75"
JEGS 51155 - Inline Hose Drain 1.5"